We were happy to see that we made it onto the winners podium again, last week. 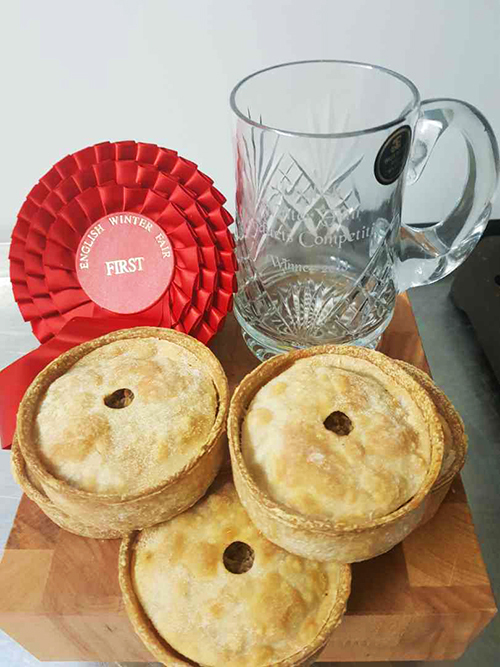 We’ve been pretty successful winning awards with our delicious, handmade pies over the years and it was our Scotch and Haggis Pie that landed us a prize this time, scooping us the winners title in the ‘Speciality Hot Eating Pie’ category. The award was presented at the English Winter Fair, which took place at the Staffordshire County Showground.